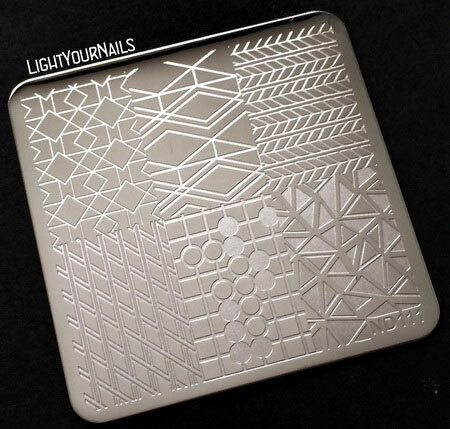 Mint and gold stamping with ND111 plate | Light Your Nails! It is a lovely combination. MoYou Gold is my favourite gold stamping polish. It looks a bit antiqued. Thank you Vedrana! It's a bit sheer for my taste, but I love their black stamping polish! Mint and gold goes perfect together. The pattern is lovely. I agree! In fact I also attempted to stamp with silver but it was barely visible with such a thin pattern! I LOVE this! And I also need this plate!